When you go to a store for something and the item on the shelf is out of stock, it can be disappointing. This can be a thing of the past with IoT shelf monitoring and restock. The Levi’s-Intel collaboration is an example. 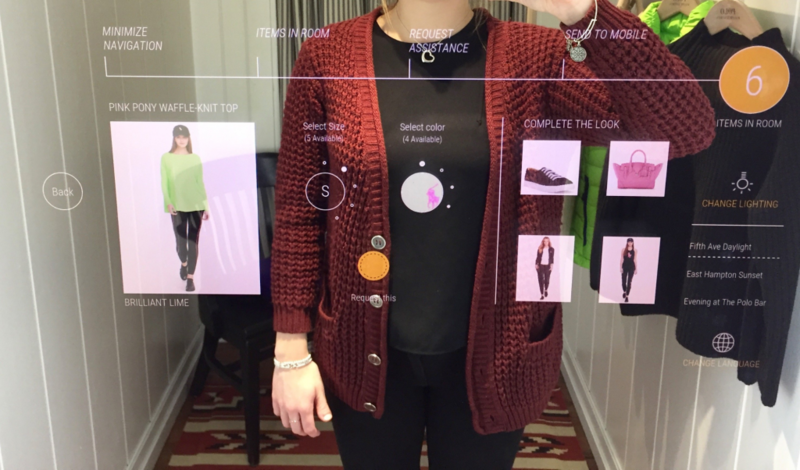 By 2016, Levi’s installed Intel’s RFID sensors in stores to track clothing inventory through IoT based applications. Another way to go about this is automating via self-stocking or inventory robots like Amazon is doing through its Kiva Robots which constantly keep a tab of how much stock remains on a shelf and automates re-ordering before stock runs out and ruins the customer experience. Automation, smarter systems, and processes are emerging in almost all aspects of CPG retail. 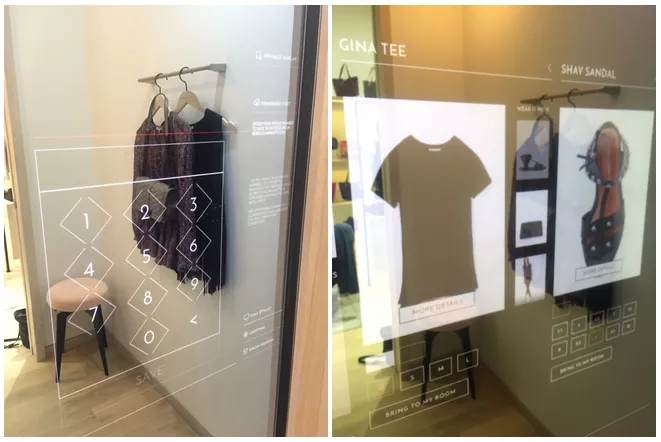 With consumer retail technology undergoing dynamic shifts to the digital, everyday objects are turning into smart objects. A Smart Product is a product that maintains information about itself and the context to enable new digital processes and capabilities. Everyday products can become Smart Products by maintaining a digital representation of the product on the internet, through its lifecycle from being manufactured to being consumed. Smart products uphold a digital record of themselves, which can be updated, edited, manipulated and distributed for multiple use cases by the stakeholders and owners of that product information. Anything from bottles, books, vegetables to T-shirts can be converted into a smart product. These digital “instances” of a physical product can be accessed over the web by mobile devices, web applications, scanners, browsers or other devices with sensors directly connected to the internet themselves. Smart Products carry and exchange information throughout the product’s lifecycle from the source of its ingredients to its journey through the supply chain, the point of sale right up to the end. In short, smart products carry a perpetual digital journey of their physical counterparts. As a result, stakeholders can identify and locate them easily on the entire supply chain. For instance, if a supplier wants to enquire where the raw materials were sourced for a particular ‘smart-product’, they can simply do so by scanning the product and accessing its information in real-time, digitally. Furthermore, the supplier can share that information with the retailer or other parties in a standardized format. Maintaining a digital record of the product throughout its lifecycle is important for building applications that further allow these products to participate with other entities in the supply chain. Brands can leverage connected technology to empower these products to start communicating and participating in the Internet of Things. Once the smart product is established, triggers on the product in the form on QR code, RFID, NFC and sensors along with reading devices, can invoke actions and changes to its digital representation to enable new and innovative digital processes. For instance, once the retailer accesses the information of locating raw materials, he/she can virtually see the product being made or crafted through videos, images or other files. As a result, smart products further deepen the product experience, which in the case of normal products, is quite limited. When products are not active or not ‘smart’, they can’t contribute to selling, educating the consumer, assisting their journey through the supply chain, improving business processes and efficiency or participating in the entire process from manufacture to consumption. Technology innovations like the Internet of Things now allow for connecting products that technically cannot connect to the internet by themselves. These products can be extended to the internet via allocating unique identifiers. Technology innovations such as IoT, allow for these smart products to then start communication and participating in the ‘Internet of Products’.